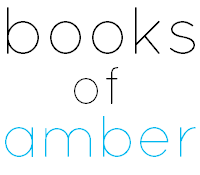 Books of Amber: Monday 10/25 - What Are You Reading? My fourth It's Monday, What Are You Reading? post. Onto the books! I'm about to start reading The Maze Runner :) I need to get on to my reviews, but can't get my head round Mockingjay at the moment. I don't know whether I love it, hate it or ... if I just want to cry haha. Has anyone else read it? Let me know what you think! Tags: What Are You Reading? Dead Tossed Waves is one I want to read. Hope you enjoyed Mockingjay! TDTW is so much better than The Forest of Hands and Teeth! You should definitely read it. I loved Mockingjay but I like books that have the predictable happy ending.